Instant access to 8 new Action Star Workout videos. Take your body to the next level with the all out, higher intensity Action Star Workout Program Level 2. 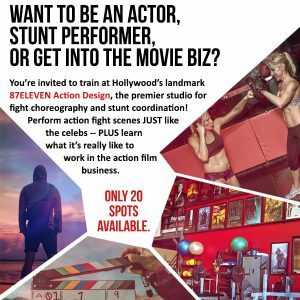 Learn brand new Action Fight Choreography! Level up to feel like the true Action Star you are while performing more intense fight scenes and all new strength moves for your super sets that include powerful isometrics for an added boost as well as fresh and more challenging yoga fitness flows for an even more shredded body. Every minute is packed. We know you are busy and these workouts promise not to waste a minute of your time.